Ingrid Grenon, BS, RM, is a 34 year employee of the Commonwealth of Massachusetts Department of Developmental Services. During most of her tenure with the DDS she was employed at Wrentham Developmental Center, formerly Wrentham State School. Throughout her career she has held many positions, including: attendant, shift supervisor, volunteer services coordinator, residential supervisor and director of a cutting edge therapeutic horseback riding program. 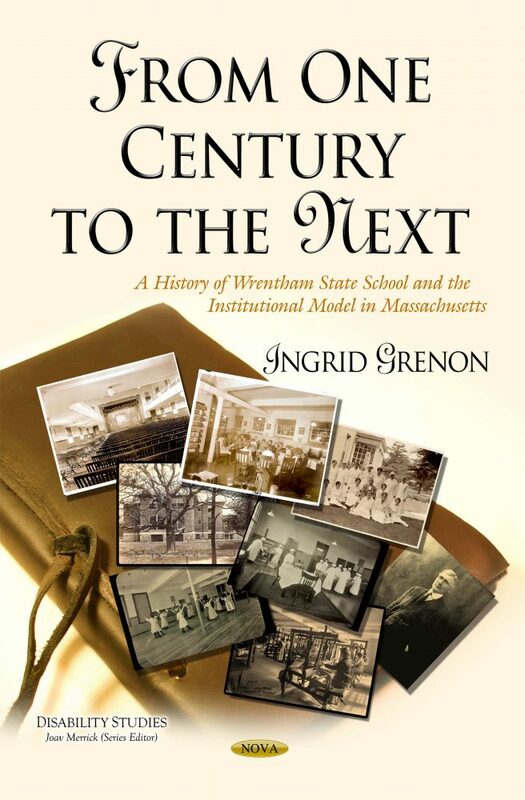 A historian and author, Ms. Grenon has been a featured speaker at many venues. Her broad range of topics have included maritime and social history, the horse as a therapeutic modality, child abuse, addiction and recovery. Other books by Ingrid Grenon include, Simply This published by Antrim House Books in Simsbury, Connecticut, Lost Maine Schooners: From Glory Days to Ghost Ships and Down East Schooners and Shipmasters published by The History Press, Charleston, South Carolina. Ingrid Grenon, BS, RM, is a 34 year employee of the Commonwealth of Massachusetts Department of Developmental Services. During most of her tenure with the DDS she was employed at Wrentham Developmental Center, formerly Wrentham State School. Throughout her career she has held many positions, including: attendant, shift supervisor, volunteer services coordinator, residential supervisor and director of a cutting edge therapeutic horseback riding program. A historian and author, Ms. Grenon has been a featured speaker at many venues. Her broad range of topics have included maritime and social history, the horse as a therapeutic modality, child abuse, addiction and recovery. Other books by Ingrid Grenon include, Simply This published by Antrim House Books in Simsbury, Connecticut, Lost Maine Schooners: From Glory Days to Ghost Ships and Down East Schooners and Shipmasters published by The History Press, Charleston, South Carolina.